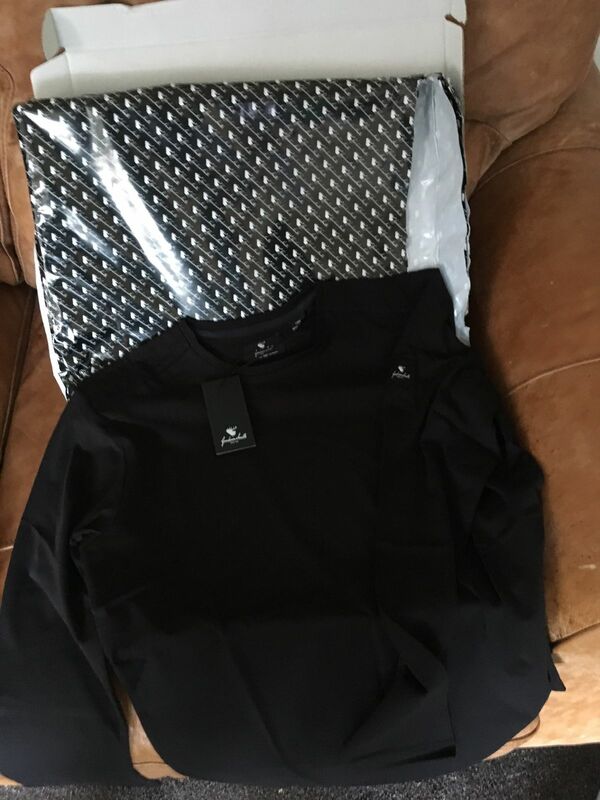 Introducing the Grassington Black Long Sleeved Crew Neck Tee with signature badge on the arm and shoulder detail. Made with the finest cotton jersey, the Grassington long sleeved Tee excels the usual Goodwin Smith Quality. Crafted with a cotton blend for a soft and comfortable finish. Featuring stag embossed metal button on the back neck. All garments have an individual touch of luxury and design…we call this the GS DNA. 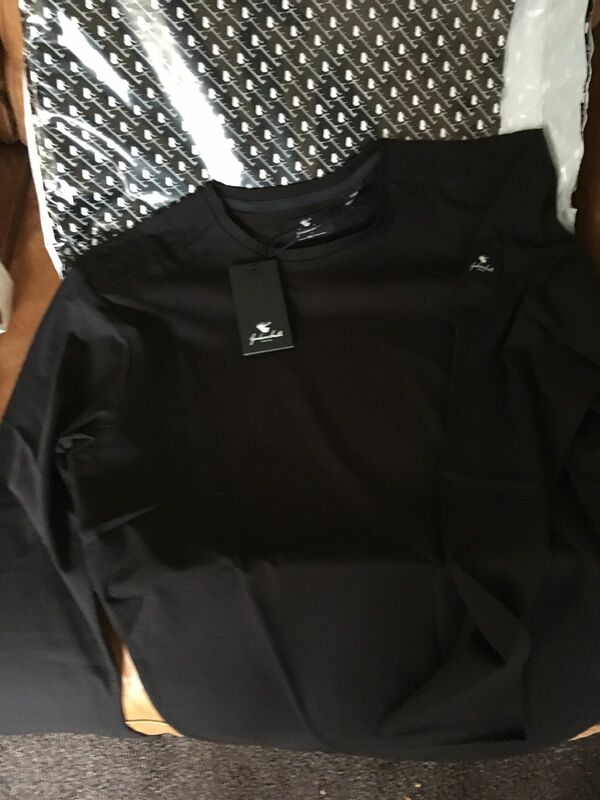 Andrew P. Reviewed by Andrew P.
A nice top, the only slight negative is that it's a bit of a snug fit, but that maybe more of a reflection on me than the top. Tom P. Reviewed by Tom P.